Access to accounting software: introduces the main features of accounting software along with the benefits and risks of its use. The Access Award in Business Skills qualification is designed to give you the wider skills needed in every business. This is a basic-level qualification for people taking their first step into work. This qualification is perfect for young people and those taking their first step on the career ladder. As well as covering the basic accounting techniques and principles you’ll gain a broader understanding of the business environment and how to prepare for entering the world of work. With this qualification there’s no need for any prior accounting knowledge. This qualification will give you a solid background in single entry bookkeeping. This is a basic entry-level qualification (most students will start at Foundation level). Access to bookkeeping: introduces the role of a bookkeeper and simple bookkeeping techniques. This qualification delivers the skills and essential knowledge to manage books effectively. It includes manual double entry bookkeeping, and associated documents and processes, up to Trial Balance standard. How long will the qualification take? This qualification will take around six weeks to complete. With this qualification you can build on your knowledge of accounting software packages. You'll learn practical skills, from using accounting software, entering accounting transactions and producing a range of reports. For full details on what you’ll learn read the qualification specification. Most students will start at Foundation level. For a closer look at the syllabus read the AAT course prospectus. What jobs can you do with this qualification? AAT Qualifications are recognised by employers as practical and technical qualifications that prepare students for the world of work and for working specifically in accountancy and finance roles. Find out more about where AAT can take you in your career. Paid to your training provider or AAT Approved assessment venue. These fees will vary depending on the training provider or assessment venue. Check whether these are included in your overall training provider fees. Paid to AAT. This covers a 12-month study period in which you can apply to study any of the AAT Bookkeeping Qualifications. Contact us for the funding options available. Studying for this qualification will increase your employability, confidence and career prospects. It also gives you the underpinning knowledge and skills to progress further in your studies in accountancy. Processing transactions in a double entry system and using control accounts and journals underpins the accounts preparation and final accounts studied in the Level 3 Certificate in Bookkeeping. This qualification may be studied alone, or as the natural mid-point between the introductory and advanced bookkeeping qualifications. This qualification leads to the Level 3 Certificate in Computerised Accounting (QAN: 601/2662/0) by providing underpinning bookkeeping knowledge required to effectively operate a computerised accounts system. Depending on how and where you study, costs break down into training provider fees and AAT fees. Financial support may be available to help cover some of these costs. Read how to choose the right training provider for you. Use our search tool to find an AAT approved training provider. Contact the training provider to discuss your chosen qualification and confirm your level of entry. Enrol with the training provider and pay the fees. Each training provider will provide you with details of their registration process and fees. Read more about qualifications fees here. Once you have enrolled you need to register with us as a student. This is essential so that you can sit AAT assessments and access study resources. This qualification will usually take around one year to complete, but this will depend on study method and course timetable. It may be possible to complete this qualification in as little as six months. This qualification will prepare you for junior and entry level accounting roles. It delivers a solid foundation in finance administration - covering areas such as double entry bookkeeping to basic costing principles and using accounting software. You will learn finance, accountancy, business and communications skills. For full details of what you’ll learn read the qualification specification. Most students will start with this qualification. Find out if you should start here by taking the AAT Skillcheck test. Aimed at experienced bookkeepers, this qualification covers areas such as double entry bookkeeping, financial statements, intermediate spreadsheets and software use. For full details of what you’ll learn read the qualification specification. In this qualification you will cover higher accounting tasks including drafting financial statements, managing budgets and evaluating financial performance, as well as optional specialist units including business tax, personal tax, external auditing and credit management and cash and treasury management. AAT full membership (MAAT) is an internationally recognised professional status in accounting and finance. It demonstrates a high standard of education and experience to employers and clients, along with a commitment to development and keeping your skills current. You can become a full member if you have completed the Professional Diploma in Accounting and you possess at least 6 months experience in accountancy sector. 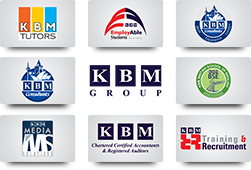 We provide work placement opportunity to all our AAT students in our partner company KBM Chartered Certified Accountants & Registered Auditors to gain Accountancy Work Experience. We are also a recruitment firm and we are prepare the candidates for any level of accountancy Jobs. Our strong links with the top employers makes it easier for us to place our candidates in to Jobs straight after the work placement. WHY PRACTICAL SKILLS ARE IMPORTANT? You will be given Guaranteed opportunity at the end of your training to work in one of our partner companies as a Work Placement trainee.
. Training will be provided on software like SAGE 50 ACCOUNTS, SAGE 50 PAYROLL, QUICKBOOKS, VT, IRIS, Excel and many more. At the end of the training we will help you to prepare your professional CV and prepare you for interviews. This training program will be reflected as a work experience on your CV.